The Used Book Superstores carry a large selection of cookbooks, both modern and classic. Our cookbooks start at 99 cents and discount over time if they don't sell at their beginning price. The Used Book Superstores carry an extensive selection of history and military books. You can find a title on nearly anything – ancient Egypt, the Civil War, US Presidents‘, and famous journalists, too! All history and military start at just 99 cents and discount over time if they don't sell at their beginning price. The Used Book Superstores are a one-stop shop for students‘ required reading. We have a great selection of classics, short stories, plays, poetry, literary biographies, and of course, Shakespeare‘s works! Although you‘d expect to shell out your savings for these classic titles, they start at just 99 cents and discount over time if they don't sell at their beginning price. The Used Book Superstores‘ home and garden sections are sure to get your creative juices flowing. You‘ll find great titles on home decorating, gardening, knitting, wedding planning, painting, drawing, and so much more! You can find the most basic home renovation books, and even collections of famous artists‘ works. Prices in these sections start at just 99 cents and discount over time if they don't sell at their beginning price. If you‘re entranced by the world around you and love the mysteries of earth, space and the cosmos, we’ve got an abundance of books for you! Books on nature, scientific discoveries, transportation, psychology, and world-famous disasters are easy to find on our shelves. These sections are organized by subject, start at just 99 cents and discount over time if they don't sell at their beginning price. Are you just looking for some light reading on your favorite pastime or perhaps something to make you chuckle? The Used Book Superstores can help! We have a large selection of sports-related literature, broken down by major sports. We also have sections for humor, trivia, and graphic novels/manga. Used books in these sections start at just 99 cents and discount over time if they don't sell at their beginning price. The Used Book Superstores carry a selection of self-help books that can hardly be rivaled. Everything from inspiration and relationships to gender studies and disease-management, all organized by subject. All titles in these sections start at just 99 cents and discount over time if they don't sell at their beginning price. If you‘re getting in touch with your spiritual side, let the Used Book Superstores help. We have books on Christianity, religious inspiration, world religions, and even death and grieving. Prices start at just 99 cents and discount over time if they don't sell at their beginning price. The Used Book Superstores carry a great selection of Computer books! You can find instructions on how to work those darn iPods, information on HTML coding and web-based design, C++, Oracle, and even some older, out-of-print books from the 90s and early 2000s. You may even find a book that comes with a floppy disk! These great finds start at just 99 cents and discount over time if they don't sell at their beginning price. 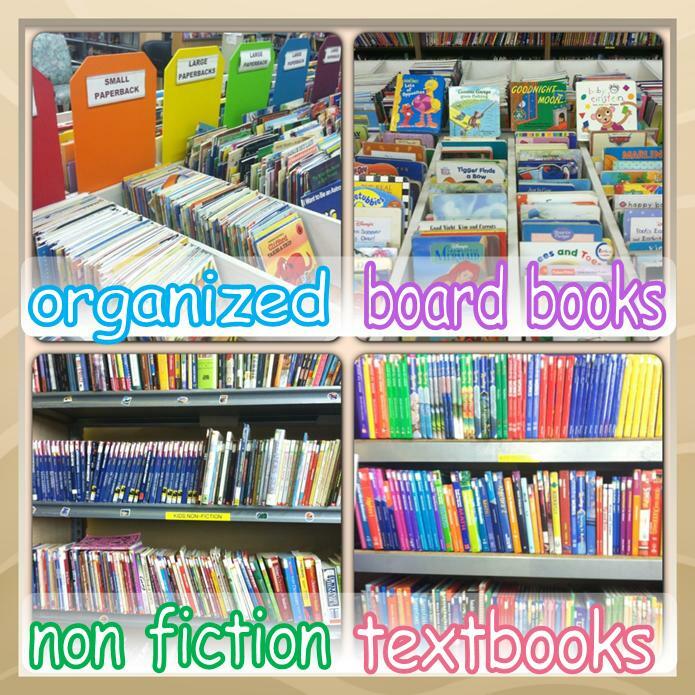 The Used Book Superstores, carry a large selection of used textbooks. Whether you‘re studying for a class or just doing some learning for fun, we‘re sure to have something of interest. Our textbooks are organized by subject matter, and start at just 99 cents and discount in price over time if they don't sell at their beginning price. With prices like this, you can keep learning forever! 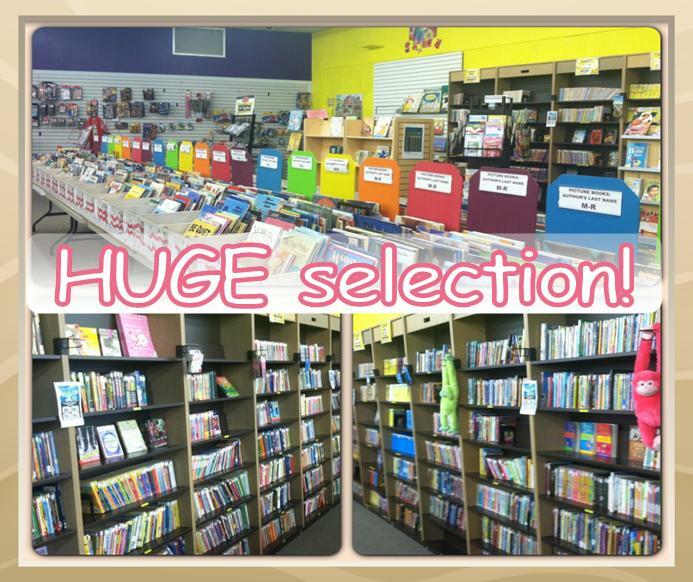 If you‘re looking to lose yourself in a great story, the Used Book Superstores have just what you need! Each store has a large selection of fantasy, science fiction, mystery and westerns. These sections are all separated by genre and alphabetized by author to make finding your new favorite book easy as pie. Used books in these sections start at just 99 cents and discount over time if they don't sell at their beginning price. Whether you‘re planning a trip abroad or just trying to learn more about New England, the Used Book Superstores can take you to another place with their Travel sections. Used books start at just 99 cents and discount over time if they don't sell at their beginning price. The Used Book Superstores have something to make your heart beat faster – true crime and law enforcement sections! These sections are alphabetized by author‘s last name, so you can find your favorite true crime stories easily. Prices start at just 99 cents and discount in price over time if they don't sell at their beginning price. All Used Book Superstores carry an extensive reference section – general reference books, sociological studies, writing guides, and even books in foreign languages! These sections are organized by subject, and prices start at just 99 cents and discount in price over time if they don't sell at their beginning price. That age old saying, ”Before you judge someone, walk a mile in their shoes“ is a lot easier with the Used Book Superstores‘ Biography sections! You will find hundreds of biographies, autobiographies, and memoirs, all alphabetized by author‘s last name. These great, real-life stories and start at just 99 cents and discount over time if they don't sell at their beginning price. Would you rather put yourself in a celebrity’s shoes? The Used Book Superstores can help, with their great selections of entertainment and music biographies, as well as general entertainment and music books. These great stories of rock-stardom, learning to play music, and theater acting will inspire you to live your dreams, with prices starting at just 99 cents and discount in price over time they don't sell at their beginning price. The Used Book Superstores also carry an extensive selection of business books. You can learn about financial planning, investing, managing teams, marketing, and much more. All business books are organized by subject for easy browsing. Prices start at just 99 cents and discount over time if they don't sell at their beginning price. One of the Used Book Superstores‘ best-selling sections is, of course, fiction. Whether you‘re looking for the newest bestselling author or an old favorite, you can probably find it here! All fiction titles are alphabetized by author‘s last name, and prices start at just 99 cents and discount in price over time if they don't sell at their beginning price. Used Book Superstore shoppers range in all ages, and some of our best customers are teenagers. For them, we have a large selection of both fiction and non-fiction. With bestselling titles alphabetized by author‘s last name, your teenager will surely find something that interests them! Our teen section has everything they could want: vampires, love stories, wizards, true stories of growing up, and sometimes all that in one! Prices in the teen section start at just 99 cents and discount over time if they don't sell at their beginning price. Are your kids craving new books but you just can‘t stand the cost? Compared to other categories at the Used Book Superstore, our children‘s department has the widest variety of titles to choose from, and all for a small fraction of the original cover price! Chapter and picture book prices start at an amazingly low 99 cents. Rarely will you find a kids book priced over 50% of the original cover price. Our mission is to help children‘s minds grow while also easing the stress on your wallet! Because the majority of our books are used, our selection is far better than one will find at new book stores. Our inventory is replenished weekly, so if we don‘t have it today we may have it soon! Children‘s picture books are sorted into labeled bins based on subject matter. Most picture books are alphabetized by author and separated into hardcover or paperback. Character themed books have designated spots, too - find Disney books or Dr. Seuss with ease! Board books, leveled readers, nonfiction and more; they all have a special home. Chapter books have their own section in the kids‘ department and are alphabetized by author. Kids‘ series are also separated for easy browsing. We also carry chapter level biographies, nonfiction and classics! If you can‘t find what you‘re looking for, just ask one of our friendly booksellers and we‘ll be more than happy to help! Come explore our children‘s department and discover endless surprises that will excite those of all ages. From classics like Make Way for Ducklings and Goodnight Moon to newer titles such as Diary of a Wimpy Kid, kids and parents alike will find titles that bring smiles to their faces. Although we specialize in used books, we also get in brand-new copies of the full New York Times Bestsellers lists every week, including Fiction, Non-Fiction, Teen and Kids, plus many titles that just caught our fancy. All new books follow the same discount schedule as our used books, so if they don’t sell at the starting price of 10% off the publisher’s list price, they’ll soon discount down, 20, 40, 60 or even 80% until they find a good home. If you're searching for a specific title that we're sold out of, or you simply want to get a new gift book, we can also help by special ordering just for you. It's one stop shopping- you can get your old favorites and new reads in the same store! We often pick up shipments of new books at clearance prices from other companies that have overstocked. Bargain books start at just $1.99, with the majority of these titles falling within the $3.99 to $9.99 range. These books follow the same discount schedule as our used books, so the longer they sit on our shelves the cheaper they get; even up to 80% off our already low sticker price! Customers love the vintage books at Used Book Superstores! These unsorted books are perfect for bibliophiles, decorators, and those in hunt of rare out-of-print finds. Prices are start at just $1.99 for vintage paperbacks and $4.99 for vintage hardcovers. The oldest book that we have seen in Burlington was a beautiful leather bound item published in 1675. We have had several instances of vintage books that we have sold for $4.99 being re-sold by our customers for hundreds of dollars. One time, a customer picked up a book that was in very good condition and it was valued at $700! We routinely have some books from the 1800’s, and then there are the forgotten favorites from the 1900’s that spark such warm memories. Whether it is a literary gem, or a childhood favorite you‘re sure to find something to take home! At Used Book Superstores, we carry hundreds of wonderful audio book titles in CD format! As soon as they come off of the truck, we’re stocking our fast-moving audio book section with lots of great titles, both used and new, for your listening pleasure! We get a huge variety of movies in our stores! Our DVDs hit the shelves all the time and are carefully alphabetized and organized for your convenience. The longer a disc sits on our shelves, the cheaper it gets. That means if you're willing to wait (and no one else snags it first), you can pick up a popular DVD for as low as 99 cents! Catch full series of great television shows and collections of hit movies all at the low starting price of $9.99! The best part is that all Blu-rays and box sets are eligible for the same discounts as DVDs! A box-set that sits on our shelf starts dropping in price regularly. Seinfeld, Star Trek, The Sopranos, It‘s Always Sunny in Philadelphia and many more great programs are waiting for you! And what if your shelves are too full of DVDs already? We've got you covered! One of the many things we’re interested in buying from public is your new and used DVDs and Blu-Rays in good condition. Bring your collection in, and we’ll make you a cash offer on your stuff! No appointment needed! Used Book Superstores are a haven for music lovers as well as book lovers! We stock thousands of vinyl records and music CDs between all of our stores on a weekly basis. From Fleetwood Mac CDs to original press Beatles LPs, we‘ve seen everything come through our stores. Records are priced at $4.00 each on the first day they go out, and then drop in price as the week goes on – only to be refreshed by an entirely new batch the next week! Music CDsstart at the low price of $1.99 each, no matter the artist, rarity or original sticker value!